I wanted to present the shadows of these two palettes swatched against my olive/dark tan skin, so you can get an idea of the pigmentation and true colours of these products. I've been using both palettes non-stop this winter since I love the colour payoff and versatility of both. They're unscented, not powdery or chalky and are good enough to wear without eye primer, one of my tests of an eyeshadow's quality. Exceptionally good eye shadows will apply and look great for hours without any help from priming products, so especially on days when I want a natural, subtle look, I ditch the extra step and save my lid primer for more dramatic or glittery eyes and situations that will push the limits of my makeup's endurance. The PÜR Minerals Soul Mattes palette is my everyday favourite shadow palette and lately I find a way to work at least one of the shades onto my lids no matter what kind of makeup look I'm going for. The fact that this entire palette is matte makes this my top choice when I want to blend, contour and highlight my eyes. I can't get over how creamy and smooth these shadows are, they blend out so well that I can forego eye primer entirely and not even notice. The colours stay fast all day and night and as you can see, they appear true on my skin, never patchy or sheer. 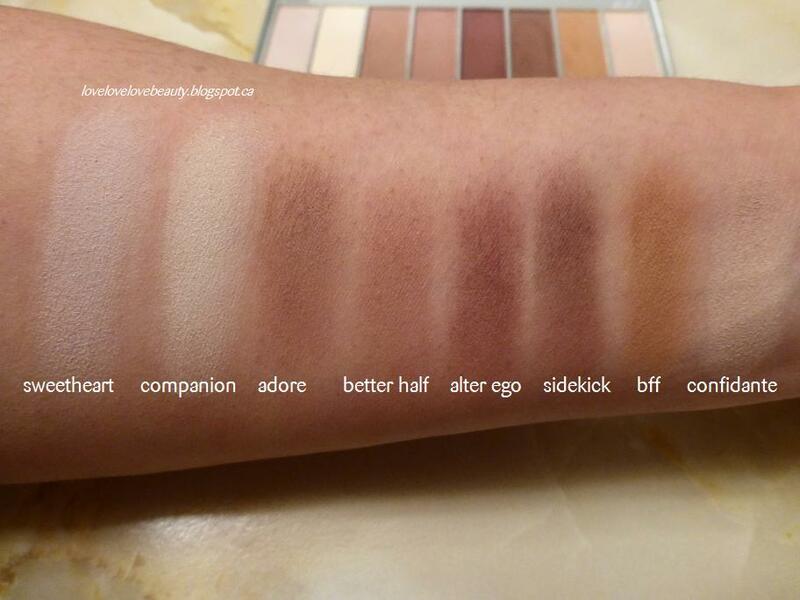 Absolutely get your hands on this palette if you can, I bought mine at Shoppers Drug Mart and am ecstatic about it. This next set of swatches is my recent haul of Coastal Scents Hot Pots. 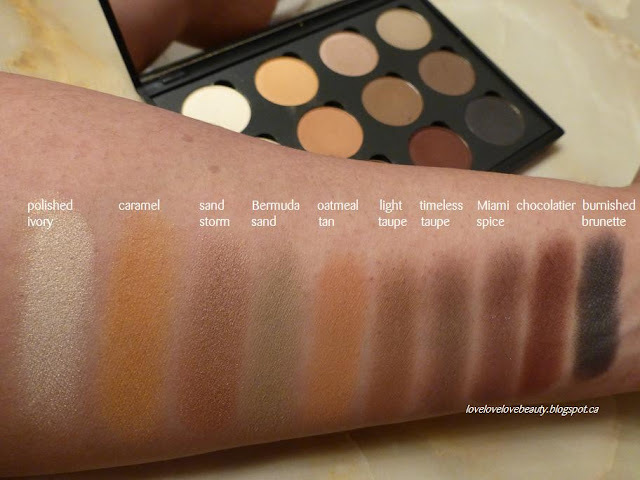 Several of the shades show up differently on my skin than expected from what I saw online, but I am very pleased with the performance and pigmentation of the shadows I received. I opted for a variety of finishes including matte, satin and shimmer and I am impressed by all three. I took my time when I was choosing these shades, reading many reviews and checking out lots of online swatches before deciding. When it turned out that four of the shades I wanted the most were sold out, I was able to get all of them nonetheless, by ordering the Coastal Scents Brow Set. The added bonus in this strategy is that I now have a spare 4-pan mirrored compact that I can use for my purse or luggage when space and weight are an issue for travel since all these shadows are easily interchangeable between palettes. Coastal Scents run at least two massive sales yearly, I suggest you research the shades you're into and be ready to put your order in as soon as you see the sales are on, or else you'll likely run into many of the best shades being temporarily sold out. While you're there, take a moment to peruse the makeup brushes section, several of my tried and true favourites are from this brand and the prices are unbeatable.